Top Tips If You Are Made Executor of a Will? Often people appoint a friend or family member as an executor in their will to manage their estate, sell assets and pay the debts and tax and to distribute legacies to beneficiaries. It feels like an honour to be asked to fulfil the role of executor (assuming you are asked as it is not that uncommon for people to only find out that they are one of the executors of a friends or loved one’s estate after the deceased has passed away!) but executors can quickly realise how onerous the ‘’honour’’ is. Sometimes, because executors have been personally appointed by the deceased to act as the executor, they feel that they have to ‘’go it alone’’, not realising just how time consuming a task acting as an executor can be or how difficult it is to resist pressure from friends and family to sort out the estate quickly. For executors who feel under pressure or all at sea with what to do with the paperwork, the admin and form filling and handling of queries and demands from beneficiaries, there is help is at hand in the form of instructing a professional specialist solicitor to deal with the estate. Acting with the executors the solicitor will guide everyone through what can be a very upsetting and daunting process. The benefits of an executor getting professional legal help in sorting out an estate is highlighted by the recently reported case of Glyne Harris. He has hit the headlines as he has been ordered to pay about £341,000 in inheritance tax as a result of his personal and legal obligations as the personal representative of Helena McDonald’s estate. How on earth could this liability have been made against Mr Harris? A good question and one I am sure Mr Harris wishes he had asked earlier. Mr Harris paid the majority of the deceased’s estate to a beneficiary on the understanding that the beneficiary would be responsible for payment of the inheritance tax from his legacy. The beneficiary disappeared leaving HMRC pursuing Mr Harris for the £341,000 and with nothing in the estate to pay the tax man. The Court has ruled that Mr Harris is responsible for the inheritance tax bill. That is because a personal representative of a person who dies without a will or the executor of a will is personally liable for paying any income , capital gains tax or inheritance tax due, even if they haven’t received a penny from the estate. So what are the top tips if you find that you are asked to be an executor of a friend’s or loved one’s will? As well as being personally liable for paying the tax man the executor is also liable to make sure all debts are paid and that the right beneficiaries are given the correct legacy. This can be a minefield if the will is ambiguous or there are a large number of beneficiaries or someone makes a claim against the estate alleging that the deceased didn’t make reasonable financial provision for them in the will. If the executor appoints a solicitor to handle the estate those worries are taken away from the executor. Well firstly don’t panic. The case of Mr Harris is very rare. 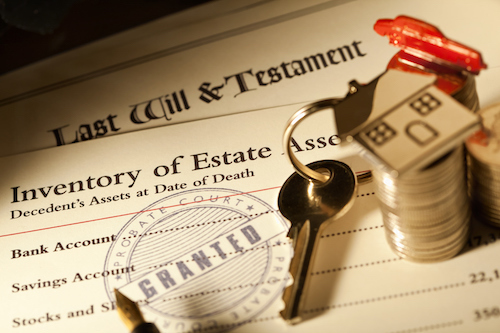 What isn’t so unusual is the stress that executors find themselves under trying to do a good turn and handle an estate without the time or legal know how. Solicitors can be very user friendly and the cost of a solicitor taking the worry and stress of sorting out the estate administration and paperwork following a friend or loved one’s death can be the best option, you are still the executor but have a professional to share the burden with you.